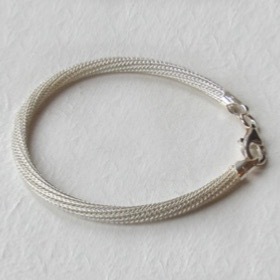 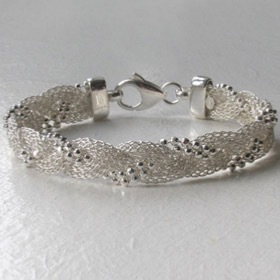 Sterling silver crystal mesh bracelet, width 8mm. 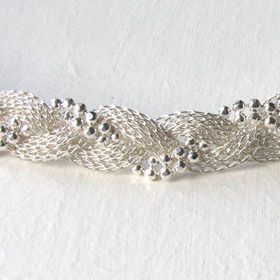 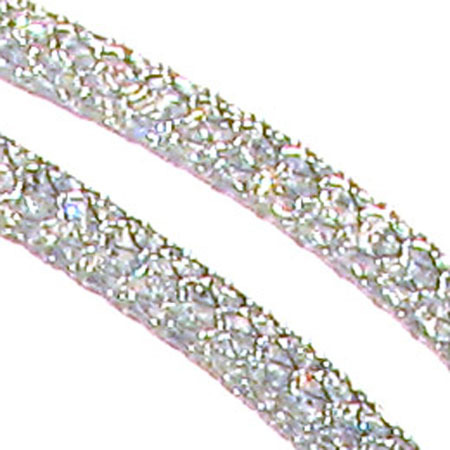 This exquisite silver mesh bracelet has crystals woven through the sterling silver. 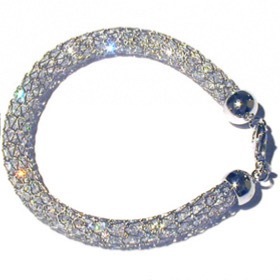 The crystals sparkle and glitter from every angle with the colours of the rainbow. 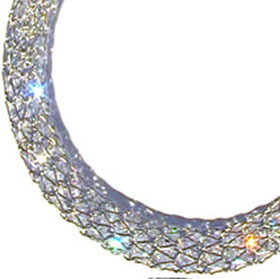 The crystal mesh is round in profile and curves beautifully. 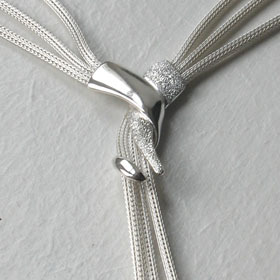 It is smooth to touch and has an open interlocking texture. 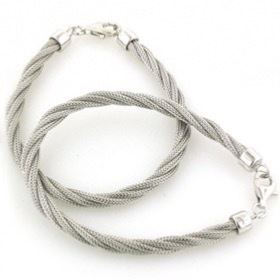 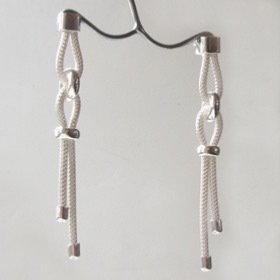 The bracelet is 8mm wide and fastens with a sturdy lobster claw clasp. 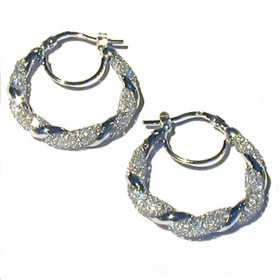 See the matching crystal mesh necklace and earrings to make a set (below). 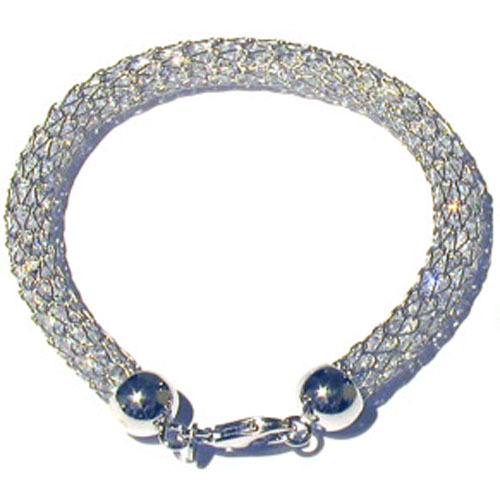 Crystal mesh bracelet width 8mm. 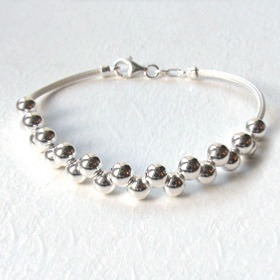 Nickel free rhodium plated sterling silver.